Domain flipping is one the ways people earn good morning online from home. Site like Godaddy(Goddady Auctions) , Flippa, namecheap and others are very popular when it comes to flipping domain. Many people have made substantial income from domain flipping which made them to fire their boss. There is always a reson to get into any business and a reason not to as well. Domain flipping is not a get rich quick thing. It is a business and requires investment, strategies and methods in order to make conversions. Don’t get into domain flipping out of excitement. There are several advantages of flipping domains for an online business. In this post we have pointed out seven main adavantages . 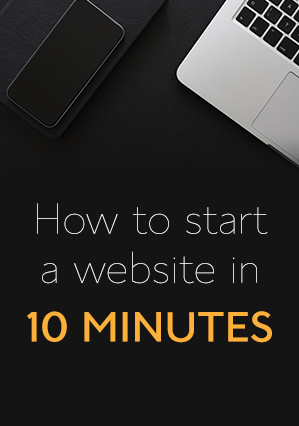 For you to start flipping domain names, all you need is a computer, internet connect, credit card and time to do the purchase . With 7-15 dollars you can buy a domain name to get started. This means you can get things done with 20 dollars in your account to be on the better side. With such an investment you can get more than 100 percent profits. How does it feel like if you sell a domain name for 200 dollars? Great for sure. How much did you invest? 10-15 dollars. This is why I said it is easy to get started with. All you have to do is think of the right name to buy at the right time. It is true previous experience count when it comes to being successful any business. When it comes to making money online, the strategist implemented by the marketer at any given time will determine the success. This goes with domain flipping. All you need to do is understand what it is all about, where it is done, get involve ,act and start saving some cash in your account. Some people have spent many years buying domain name (experience) but had never made a conversion while some newbies had made sales from day one. Even my grand ma can do it why not you? I have two points when it comes to being successful in any path, interest and determination. Flipping domains do not require coding skills. It is about understanding the needs of individuals and business when it comes to purchasing domain names. You can always decide where to start. This is one of the most noted advantages of flipping domains. Domain names are not like good which require a warehouse for storage. Once you purchase your domain name it remains of the site where you did the purchase. You don’t need a hard drive or some cloud storage to store the domains you have purchased. This gives you the ability to purchase as many domains as you wish and thus worth giving it a preference. Another reason why flipping domains is a good business is that, it require no shipping cost. The buyer is responsible for making any payment in order to transfer the domain to his account if necessary. Transferring domain from one host to another require some fees. However most companies all ways give free one year renewal making which seem more like a free transfer of domain name. In addition when you sell a domain name, you just need to give the customer every details he or she need so that the domain transfer can take place. Permit me to throw more light on domain transfer. What is required to transfer a domain ? To transfer domains to the same host depends on the company involve. I have many domains with Godaddy . Some of my clients usually provide their name servers for me to update while other request for a complete transfer of the domain. Transferring domains to another account on the same hosts(Domain name move) easy. All you need is the customers email, reference number, phone number and name. Any other detail needed will be easy to find. i. Unlock the domain name. ii. If you enable private registration, then you have to disable or cancel it before the domain is transferred. iii. Get the transfer key which will be communicated to the buyer. It is also known as the authorization code or EPP. This is needed to authorize the transfer process. iv. Lastly make sure Administrator email should be correct. This ensures all emails regarding the transfer are delivered to the new registrants account. The entire process can take less than 5 minutes. In all, the process involves staying in front of your PC while taking some coffee. This makes it less stressful while earning some big cash. This is what makes domain flipping beneficial to some lazy newbies. Oh no, not you! When you purchase a domain name, you can park it to redirect to sites you own to increase traffic. If you don’t have a website to redirect your website to, you can join a program like 1&1 domain parking which permits you to make money when someone do a purchase through your domain. In all I am trying to say. You can be making use of your domain while it is listed for auction on any flipping website. You don’t need to pay any money after purchasing a domain name. However, you might be required to do website maintenance if you have design one for the domain you intend to sell, since there are three ways to flip domains. Once a domain name has been purchased and transferred. The deal is sealed. You will not get calls or emails from the buyer requesting for help. If that happens then it might result to another deal which will lead to a plus in your account balance. I hope you are getting what am trying to say here. Permit me end here. I believe the point mentioned above will give you a clear picture as regards domain flipping especially when it comes to its benefits. Like any other business they are some disadvantages that will always be there to accompany the advantages. Making a decision involves putting the ups and down together . After doing this you can think of getting started you just say good bye to that big dream. Do you have any experience flipping domains? We will be gald if you can share with us. DreamHost is ultimately the best web-hosting company with plans for any hosting requirements.